I wasn’t sure what to call these. 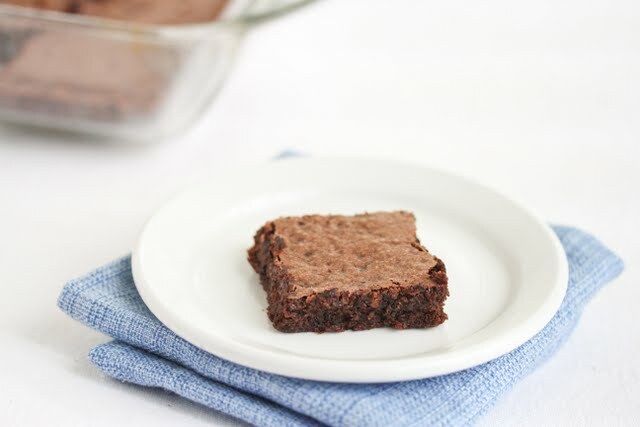 It’s a cross between a cake and brownie, but the dense texture and rich flavor make me lean towards calling them brownies. 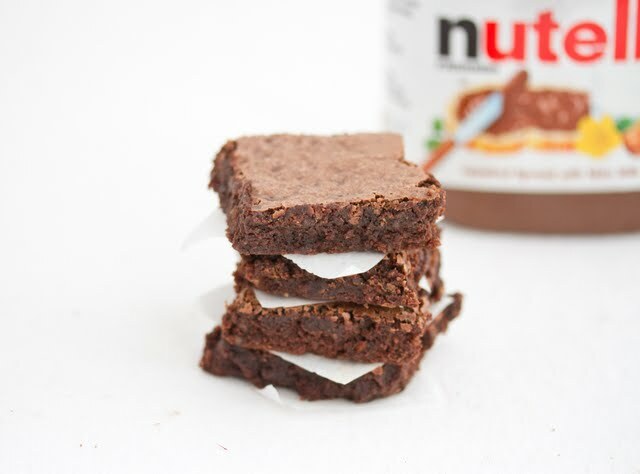 Though technically I’ve never eaten a flourless brownie. Also I baked them in a square pan and cut them into pieces that look like brownies. So brownies it is. Anyhow, I was experimenting in the kitchen again with my jars of Nutella and I came up with this. The Nutella flavor is intense. The hazelnut flavor is upped with the addition of some ground hazelnut flour. 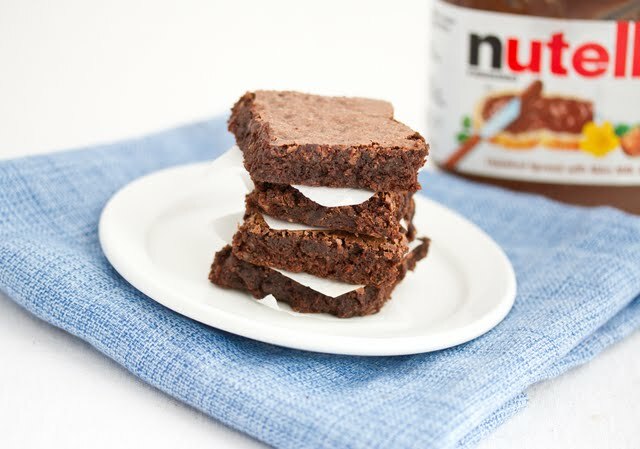 So if you love hazelnut and chocolate, this dessert is a must try. As with many flourless desserts, the batter was easy to whip up. It bakes for about 25 minutes and then it’s done. The dessert is quite rich and decadent. Just a little goes a long way. 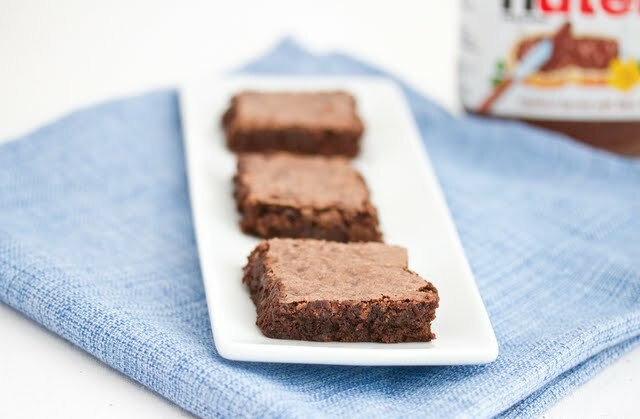 These flourless brownies are rich and decadent and so easy to make. Preheat the oven to 350°F. Oil and line an 8 x 8 square baking pan. Mix together the sugars, eggs, and vanilla in a large bowl until blended. Add the hazelnut flour, Nutella, and cocoa powder and mix until batter is smooth. Pour the batter into baking pan and bake for about 25 minutes, until toothpick inserted comes out clean. Let cool completely before cutting. Aw, that’s too bad for your friend to have that diagnosis. But yes, these should work for her/him! I love the idea of adding more hazelnut! Me too! sometimes the hazelnut can get lost, so this ensures it doesn’t. 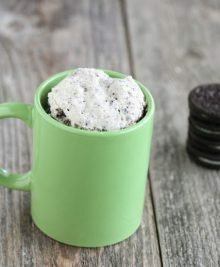 I’m going to take the recipe, I have to try this soon!! Yes definitely try it out! I just got a jar of Nutella, how perfect! 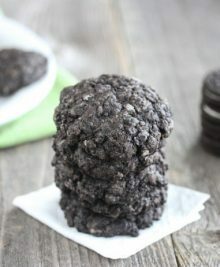 These look incredible and quick to make. Yum! They are quick and easy. Definitely check them out!